The PACC, Public Sector Anti-Corruption Commission, are launching an investigation into the actions of two police officers who failed to bring charges of attempted murder against two Australians last year who opened fire on to a busy street in Patong due to lack of evidence. 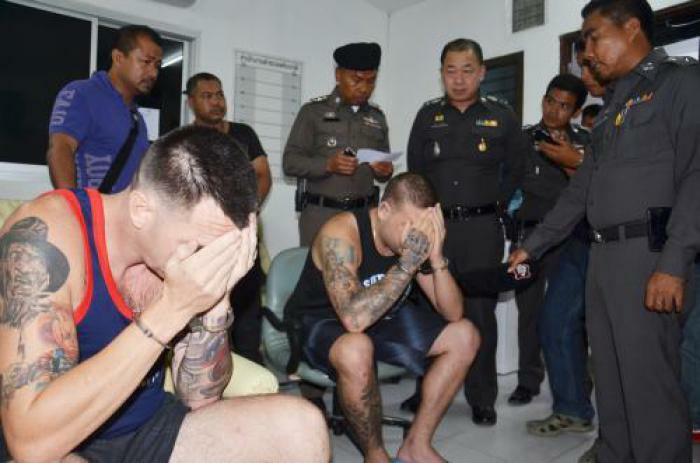 Two Germans were injured during an incident when John Cohen, 32, a tattoo parlor owner and 26 year old Adam Shea tried to gun down alleged Danish Mafioso Dennis Mark Knudsen in Sansabai on January 22. CCTV footage on that night shows the two men walking into many hotels along the street asking for the man before they spotted him leaving a hotel on a motorbike. The men ran out of the hotel and one of them opened fire with a 38 handgun. However they missed their intended target and hit the two German tourists instead. “Johann Baschenegger, 42, and Joseph Woerner, 71, were both shot in the arm,” Patong Police Superintendent Chiraphat Pochanaphan said. The two suspects were apprehended and charged with attempted murder but were relased after a very short spell in jail when not enough evidence was provided by the police. The pair were released from jail after serving only forty days in jail. “There has been an obvious mistake in the police investigation process. We are looking into it. We are investigating whether or not the officers were abusing their positions of power,” said Col Pravesana. Col Pravesana expects the PACC investigation to conclude within about a month. “The case investigator and anyone found involved in abusing their power will be prosecuted,” he said.